Black and White films are developed using Kodak Professional XTOL developer. This gives full emulsion speed with fine grain and can be used for push processing most films. Processing B&W Infrared film is also available. 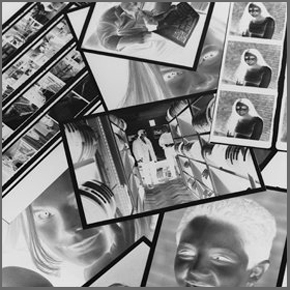 Films are developed to a gamma / contrast index suitable for diffusion light source enlargers and printers. 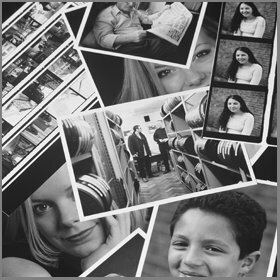 Printing is carried out optically ( not digitally written out ) onto industry leading Ilford Photo Black and White Multigrade resin coated paper offering a high gloss or matt finish. Machine processing is through Kodak Professional Polymax RT developer. A complete roll of 35mm or 120 film is printed on one 10″x8″ print ( up to four 5″x4″ sheet films on one print ). Printed ‘single light’, the same exposure and contrast is used ( which will show mixed exposures as light and dark images ). Enlargements are made substantially from the whole negative ( please see ‘Aspect Ratios & Dimensions‘ page ). Printed on resin coated paper ( with white borders up to 12″x10″ ) print sizes above 12″x10″ are printed without borders. Hand Printing allows cropping of your negatives to any desired framing. A certain amount of burning-in or dodging-out is possible. Clear instructions are required. Copying is carried out using Nikon and Hasselblad cameras and optics onto Kodak and Ilford film. Grey scales can be incorporated in the frame for repro use if required. Copying is available from colour or black & white photographs and flat artwork. Maximum size of the original should be 30″x20″ or less, and should not be glazed. This is a specialist intermediate film printing service for making large format Black & White Negatives from your Colour Slides and Transparencies. for maximum quality. ( includes the whole original film aspect ratio ). This is a specialist intermediate film printing service for making Black & White Negatives from your Original Black & White Negatives. Formats smaller than 120 medium format are blown up to 70mm medium format for maximum quality. ( includes the whole original film aspect ratio ).